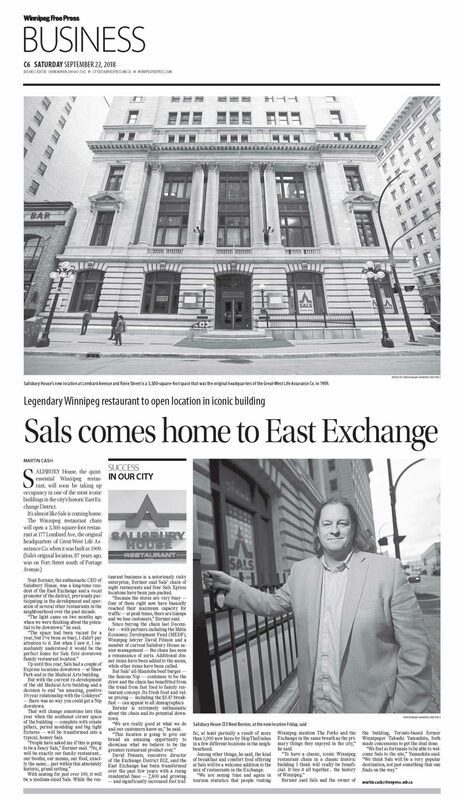 Salisbury House comes home to the East Exchange District - Capital Commercial Real Estate Services Inc.
Congratulations to Salisbury House as they prepare to come home to downtown Winnipeg. Capital was proud to have represented both the Tenant and the Landlord on this transaction. Their new family restaurant will be 3,500 sq. ft. on the main floor of 177 Lombard Avenue. The location is ideally situated in the heart of Winnipeg’s East Exchange District at the corner of Rorie St and Lombard Ave. We are excited to welcome this local Institution to downtown Winnipeg and wish Salisbury House many years of success. To read more about this story, please click the image below.